These presentation slides 28589 are complete compatible with Google Slides. Simple download PPTX and open the template in Google Slides. 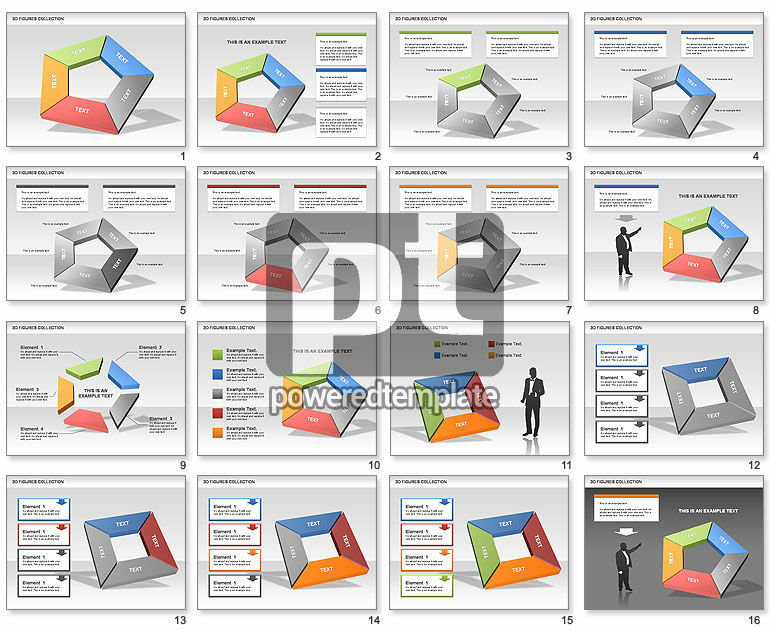 This package of bright diagrams, consisting of pentagon- and square-shaped 3D objects would be a right choice for business oriented presentations to illustrate components, sharing, interaction between different parts of the business, etc.